A new children’s book has a touching real-life backstory of abuse, adoption and second chances. October is national Adopt a Shelter Dog Month, and Isosceles’ (a Labrador Retriever) story is about a happily adopted rescue dog who finds a home with an understanding owner. The back of the book explains the history of the dog and owner, but the picture book itself focuses on lovely illustrations and whimsical poetry to demonstrate how an initially apprehensive shelter dog can live, PLAY, and thrive in a secure environment surrounded by love. When author and illustrator Kevin Meehan walked into the animal shelter and met Isosceles, a black lab mix, he knew they were meant to be. Isosceles had being chained up in a backyard, likely abused for the first three years of his life with little to no human interaction, even during Wyoming’s hard and frigid winters. Meehan had a very special understanding of what Isosceles had endured, as he himself grew up without much of a home, love or sense of protection. He adopted Isosceles, and for the first time in his life, Isosceles was introduced to a warm house, a warm bed, and could explore the beautiful outdoors with his new owner, free of chains and the confined backyard where he once lived. 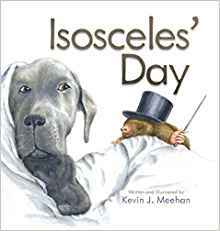 The special relationship that Meehan and Isosceles formed became the inspiration behind his new children’s picture book, Isosceles’ Day, a whimsical tale that takes readers through a quirky day in the life of Isosceles as he interacts with a variety of other furry, feathered and friendly animals. Meehan did all of the illustrations for the book, which are stunning. 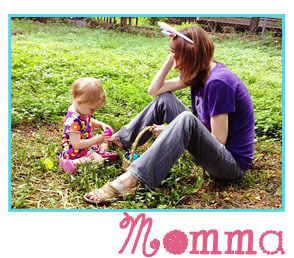 About the Author: As a child, the author experienced a similar life condition as Isosceles. Not having much of a home, love or sense of protection and safety, he has a very special understanding of Isosceles’ early years. As a diplomat of acupuncture and Oriental Medicine and an integrative health care practitioner for almost three decades, he recognizes the importance of the compassion essential in helping others; people and animals. The author’s commitment to helping animals and humans, coupled with his passion for biochemistry, lead him to design a unique, patented, line of canine orthomolecular supplements to nurture dogs back to health in a natural way. One of his favorite quotes is, “With the eyes of a child we learn how to see”!